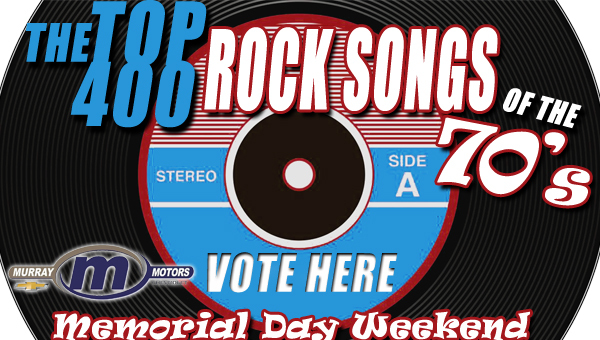 Eagle 107 will be kicking off the 107 Days of Summer by counting down YOUR top 400 songs of the 1970’s on Memorial Day Weekend! Using the form below rank your top ten songs from one to ten, songs that were released between January 1st of 1970 and December 31st of 1979 are eligible for the countdown. Then listen to see where your your songs place in the countdown starting on Friday, May 24th on Eagle 107! Use the form below to send us your Top 10.